Do you believe that you have found an ideal tenant and that all you need to do is to conclude a lease agreement, and your obligations cease? Wrong! Below are things that you must not overlook when it comes to renting an apartment. 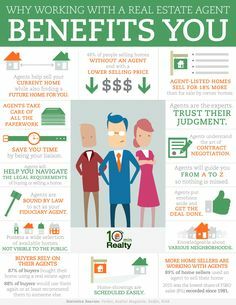 If you don’t have the time to deal with such things think about employing a property manager so he will do all of this for you every day and every month for as long as you want. It is usually at the rate of one monthly rent and is a guarantee that you will find the apartment in the same condition as you left it. It serves the landlord in situations if it is found that after the expiration of the agreement if something in the apartment is damaged, or there are outstanding debts, they can be covered. Keep in mind that this is a deposit, and you must return it if at the end of an agreement everything is in order there are no damages and all bills are paid by your tenants. Before the new tenant moves, it would be ideal if you made a list of all things inside the apartment. If an appliance is defective, clearly state the problem. Also, be categorical about changes that the tenant can make during his stay (furniture layout or some minor adaptation). It is clear that he will use everything that is available to him, but in the Lease Agreement, you have to clearly define what he is and isn’t allowed in your real estate. At the end of each month, insist that you see tenants paid bills. Of all the problems with tenants that the landlords complain about, the most common are unpaid bills. 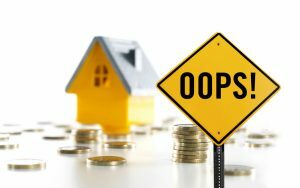 Since all debts are borne by the owner of the property, it is clear what the potential danger is if you are not up-to-date. We do not want to advise the owner to visit his property unannounced, but you must keep up with what is happening. Arrange one day a month when you arrive on a tour and make sure you have one copy of the key with you. It is a document that protects both you and the tenant, and it will serve in cases of greater dispute or if it deviates from the original agreement. The contract contains data of both parties, as well as their rights and obligations: duration of a lease, amount of rent, cancellation deadline. It protects the landlord from dishonest tenants, but also the tenants in exercising their rights. Learn how to hire a property manager so good, you'll keep them for years. Last month, I awarded more work to one property manager -- and fired another one. 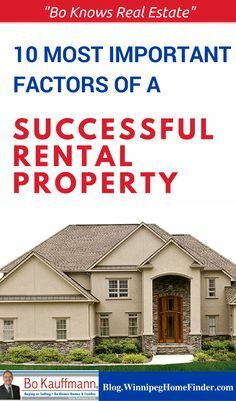 Find out why and how -- and as a bonus, find out exactly how much I earned in my rental property investment business, as well. Top 10 Qualities to look for in a property management company. 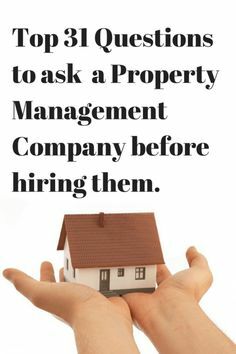 Dont work with a property management team until you ask them these questions! 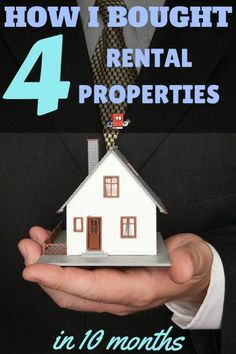 See how i was able to buy 4 rental properties in a 10 month span. Cash flow city!